The Cambridge Studies in Stratification Economics: Economics and Social Identity series encourages book proposals that emphasize structural sources of group-based inequality, rather than cultural or genetic factors. Studies in this series will utilize the underlying economic principles of self-interested behavior and substantive rationality in conjunction with sociology's emphasis on group behavior and identity formation. 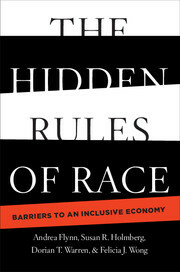 The series is interdisciplinary, drawing authors from various fields including economics, sociology, social psychology, history, and anthropology, with all projects focused on topics dealing with group-based inequality, identity, and economic well-being.